Air Group 31 was stationed aboard 2 Independence Class light aircraft carriers on 2 tours of duty. Their first carrier was the USS Cabot (CVL-28) which they boarded in November of 1943 and served on until October 4,1944. Air Group 31 had a second tour of duty aboard the USS Belleau Wood (CVL-24) From June of 1945 until the air group was deactivated in October of 1945. 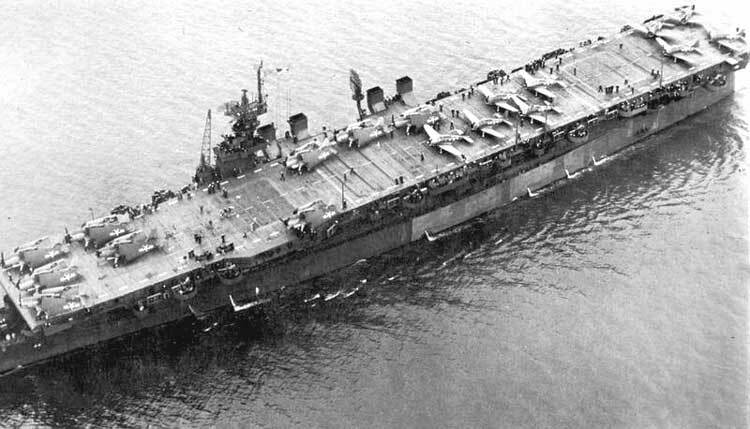 Independence class aircraft carriers were rather small when compared to the large Essex. 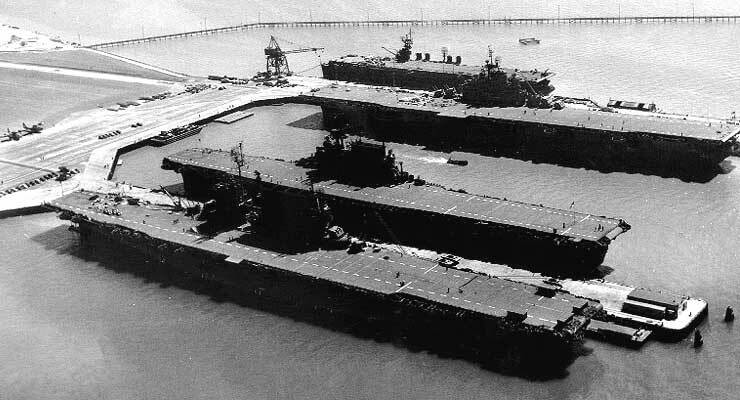 Lexington, and Yorktown Class fleet carriers. The 9 Independence Class carriers were converted from nine Cleveland Class light cruiser hulls that were under construction at the New York Ship building yard in Camden New Jersey when the war broke out. To give you an idea of the size of an Independence Class aircraft carrier, here is a photo of CVL- 22 with some of her air wing on the 71 foot wide flight deck. The photo below shows an example of 4 of the carrier classes that were used during the war and emphasizes the small size of the Independence class light carriers. It took a lot of pilot skill to land on one of these light air craft carriers.